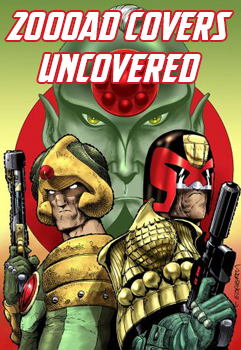 It was random – both Steve S and I were members on a vintage Porsche 356 forum, and he spotted my own personal work for Dredd and 2000 AD. He was after some work for another project- but we got talking about a Dredd inspired short and it went from there. Later that year I was exhibiting my personal work at a show ( Monster Mash, Maria Cork, 2008) when Steve G introduced himself, I put two and two together about his digital work and put him in touch with Steve S. That raised the bar enough to make the project really viable and the rest, as they say, is history. 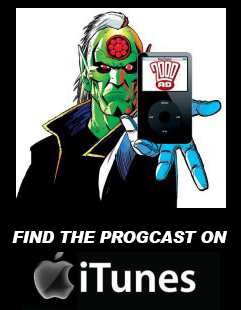 2000 AD was the first comic I ever had, Prog 222, the first episode with Nemesis. I was on holiday in Pool with the family, so I was 8. I’ve now got the copy signed and framed by Kevin O’Neill. I carried on getting it for ages since, although I will happily admit I’m ‘Old School’ as I have much more passion for black and white line art than colour. Even now get more pleasure from a comic’s artwork than a storyline – I’m a bit odd like that. I can remember things like my brother letting me pronounce ‘Rogue Trooper’ as ‘Rog-u Trooper’ for ages, bless, and also the centre spread of Slaine where the fields around Glastonbury Tour were shaped like the signs of the Zodiac ( I grew up in Somerset so it was very topical ! ) , and the description of how Dragons crystal skulls made fire, again from Slaine. Well, apart from sticking to the original 2000 AD design themes, the look of the Judges and their real world equipment was down to me. The Mutants and MegaCity costumes were a team effort – with both Steve’s randomly buying and sourcing things they liked the look of, either in component form or, in the the form of the Mutants, as complete looks. They sent them down to me for refinishing if needed, and on the morning of the shoot I had to get people into costumes they hadn’t even tried on for size before, or make full costumes up ou of the components, so a bit manic…..
As people may know you are now part of Planet Replicas where people can pick up their own Judge uniform. Can you tell us if that span out of the Minty project or vice versa? How much did one influence the other? I was always a modelmaker by trade, so I made personal work which I bought to the attention of First4Figures when they had the 2000 AD license. This introduced me to the team at Rebellion, about 2005 maybe (?) …..
Judge Minty was beginning around the same time, very seperately, but Rebellion liked my work and they kept in touch with me. I helped to restore the infamous ‘Dredd V Death’ full size statues for Rebellion, and while there, covered in dust and resin, I asked that if the License was ever reviewed or became available, I would be allowed to pitch for it. It did, so I did, and I aquired the license with my business partner as Planet Replicas, last year ( 2011), part of the deal being that a Judge Uniform was made available. 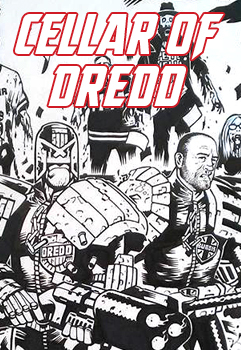 Whilst working on the film was there any period of Dredd’s history or particular artist from the comic that influenced your design at all? I loved all early the Dredd creators so I just thought if I put each look onto a graph, with the peaks and troughs being what I liked and didnt like , then if I drew a line straight through the middle, then that ‘look’ should tick all the boxes …. I think ( hope) it worked ! If I had to name names- maybe Steve Dillon and Mike McMahon, a dash of Bolland, and a bit of luck. Were you involved with the day to day shooting of this project or was it purely a pre-production deal? Other commitments meant I was unable to go to the last pick-up shoots this year though. Is there anything you would like to have made for the film but couldn’t? A fully finished Lawmaster ? 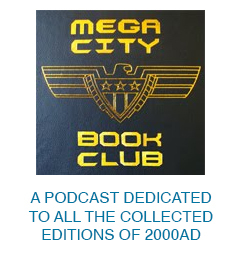 Did John “Cellar of Dredd” Burdis take anything that wasn’t nailed down? I know he at least has the sign featured in the film’s poster. As a random bit of trivia, that was made from a bunch of the wood that washed ashore on Brighton Beach in 2008, from the ‘Ice Prince’ ship which sank. Er, no. But, if I had to do a Mean Machine, Chris Hall’s version would be the main reference..
Hard to say- For me, maybe I’d have aged the Judge’s outfits to look a little more aggresive – but as a team I think we were very pleased with the route we took, it was right for the production and the imagery the Steves wanted, so I am proud of the result. We were lucky not to have to second guess everything because of the Movie, actually…. Well I am still in the loop as the Creative Team, but as I was always a scene ahead of the shoot, I never really saw anything other than maybe a few of the dailies. Steve G has been sending me the odd shot to show me his in progress CG work ( I recently trained in Maya, a VFX/ CG package) but I’ve not seen any finished work, completed scenes, or anything like a full edit……just very, very exiting snippets. Thanks to Daniel for taking the time to answer these questions. I’m sorting out a series of these interviews with members of the Judge Minty crew over the next couple of weeks so keep an eye out.